Sometimes I wonder. I just wonder what kind of people we are becoming. Raising a generation on technology. Our cell phones, for instance. You don’t have to know much of anything going out into the world. Why? Because you can call anyone at any time & find out what to do. How many times has my 12 year old puzzled me to the point my knee jerk reaction is “Google it.” Not to be confused with it’s close cousin “Googol”, which if I remember correctly from 7th grade math class, that a googol is a 1 with 100 zeros behind it. And not JUST an internet sensation that I am mainly dependent on for vast amounts of knowledge. Just a little history lesson on math. Bet you don’t get that often. 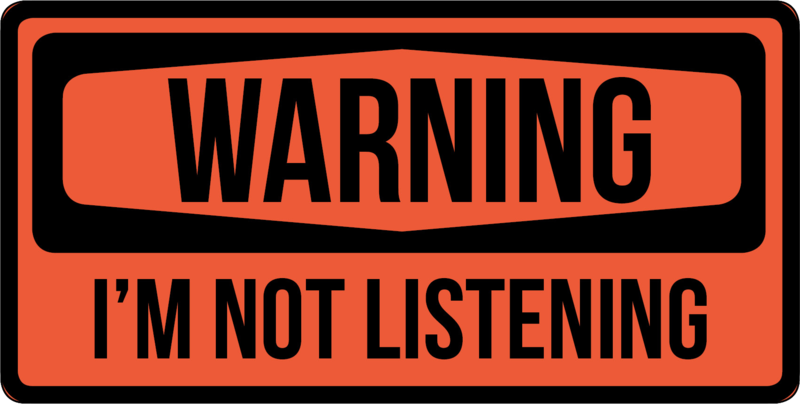 ANYWHOO- There are many times that I personally may not hold myself responsible for listening as closely as I need to because why? I can call or text at any time & find out what that person said. Perhaps for example when my sweetie is giving me his grocery list, as I head out the door, I may or may not listen as intentively as I could, because, well you know, I have a LOT of other things I need to be remembering right then. I know once I get to the Kroger, I can text him & find out everything he told me, plus some other things he forgot. Sometimes I wonder, do I do this with God, too? Am I guilty of not listening, not heeding the warnings of sin, until I get into a fix, then I start trying to pray my way out of it? Then, I have time to listen & talk to God. I believe that is why we should daily stay in contact with God. I feel like if we are listening to the Lord, by studying our Bibles & talking to Him through prayer, we will have little time to be judging, looking down our noses at others, & fault finding. How relevant is that over 3,000 years later? We should listen & stay away from sin, as much as possible. I truly believe staying in God’s Word is one of the most important ways to keep listening. 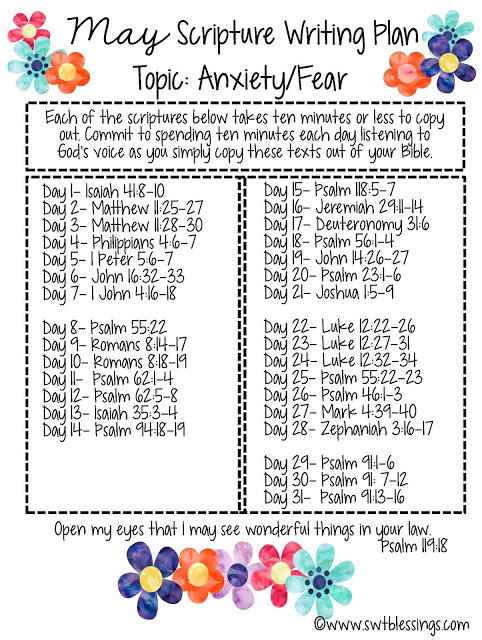 My sweet friend Shannon, over at Sweet Blessings, said I could share her scripture writing plans. This is the one for May. If you get a chance, go on over there & let her know what a “sweet blessing” she is for creating these scripture plans. Y’all, I have so much to catch y’all up on. I will be back with pictures, before long! Until next time, I should be going, because I should be washing clothes.